Is that Surgery Really Necessary? One of my patients is a great guy I’ve been seeing for over 14 years. He loves to tell this story himself, so I thought I’d share it with you. Like so many who seek care, this gentleman was plagued with debilitating low back pain. He had seen about 10 chiropractors, numerous physical therapists, and a prominent neurosurgeon, who had told him that he had to have back surgery or would be confined to a wheelchair, unable to walk. Dr. Venn’s precise adjustments will help even the most severe pain. I met him at a Chamber of Commerce meeting where I was giving a speech. The gentleman stood up and asked me if I could help him, despite his inability to find even a bit of relief elsewhere. He had no answers from any practitioner and everyone had given up on trying to help him. I explained to him, ‘’I don’t do typical chiropractic.’’ What we do at our office is different from what he’d previously experienced. 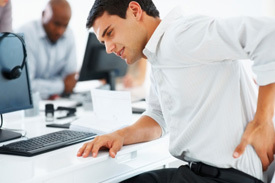 While normal chiropractic techniques are great and can work for many people, it can also be less precise than the method used at our office. What we do is extremely precise, and moves only the bones in your body that need it, never touching anything that’s already where it needs to be. The gentleman gave me a chance to help him, and after 1-2 adjustments, he was 100% pain-free. After dealing with this severe low back pain for years, and looking at a future where he couldn’t walk, it took just a visit or two with our precise chiropractic care to allow his body to be healed. He is still 100% pain-free to this day, and I see him every few weeks for wellness check-ups to make sure he continues to feel great. If you know someone who might benefit from chiropractic, share this post and have them call me today!